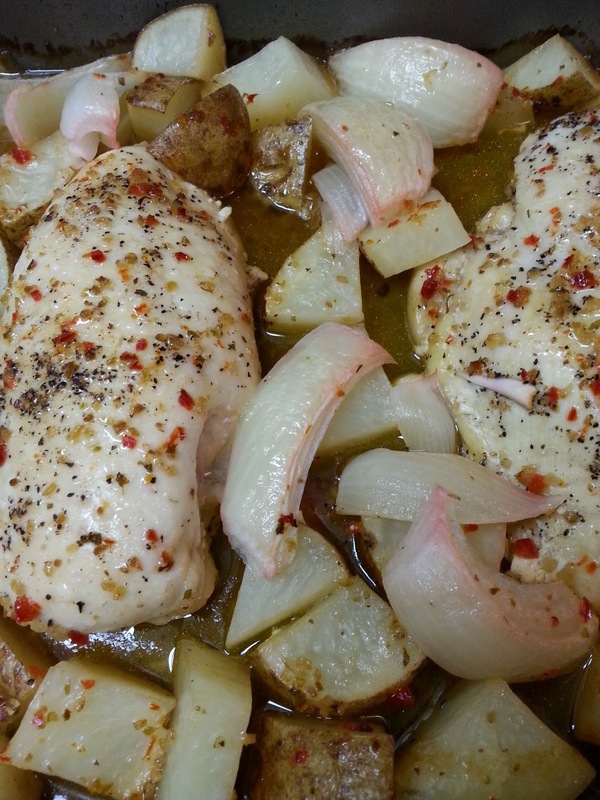 Italian dressing gives fast flavor to this juicy chicken and tender potatoes in this delicious meal. Spray 13x9 inch baking dish with nonstick cooking spray. 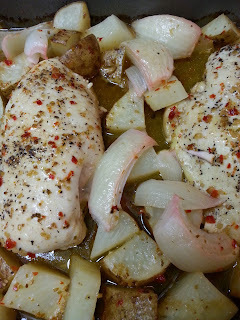 Place chicken in baking pan, arrange potatoes and onions around chicken. Pour italian dressing over chicken and potatoes. Sprinkle with salt and pepper. Cover and bake at 400 degrees for 20 minutes. Uncover, and bake for another 20 minutes, until potatoes are tender and chicken is cooked through, no longer pink in center.